Israel Eliab has had to learn to be patient. The Papua New Guinea international signed for London Broncos in September but had a long wait while his visa application was being processed and finally flew into Britain three weeks ago. Then he picked up a hamstring strain in an early training session, so is still waiting to make his first appearance for the Broncos. Just making the decision to fly across the world to further his Rugby League career was a massive step for the 25-year-old stand-off. He was born and raised in the small town of Kokopo in Papua New Guinea’s East New Britain Province. Israel began his career with Rabaul Gurias in the domestic competition before joining the Port Moresby Vipers with whom he won a Premiership title in 2013. He moved to the Papua New Guinea Hunters and captained them in the Queensland Intrust Super Cup competition. Israel played for PNG in the 2013 World Cup and captained the Papua New Guinea in the Nines at the 2015 Pacific Games. The British game has seen a number of Papua New Guinea players over the last few years with the legendary Stanley Gene blazing the trail. But there are others currently playing in the competition including Menzie Yere of Sheffield Eagles. 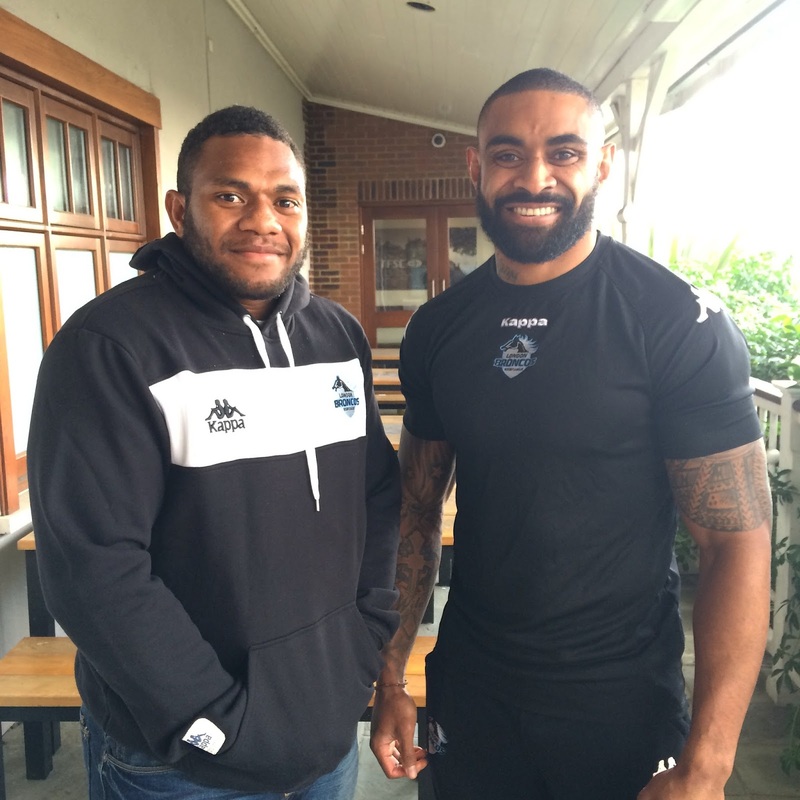 Before agreeing to join the Broncos he canvassed the opinion of some of the PNG players over here. “I asked a few of them about the competition and the lifestyle. They said it’s a tough situation because your family are miles away. It’s mentally tough to face those challenges but in the end I opted to come over here. The 3G pitch is also something new for Israel, they don’t have any artificial grass pitches in PNG! The first game he saw on it was last week’s win over Halifax, which he said was really fast.